Someone help me! I have a physically demanding job so am quite fit and healthy but dont really workout. I am about to start though and have been offered Oxybolone/Oxymetholone. They are 50mg tabs and was wondering is this to much, is it to strong and are there major side effects. I need to hear this from REAL people, if you know what i mean. I don't recomend doing them. They have the worst list of side effects I've ever seen on a steriod . Start working out and eating right if you want to build some muscle. I got this information on the Anabolic Review home page under drug profiles. Anadrol 50 is the strongest and, at the same time, also the most effective oral steroid . The compound has an extremely high andro-genic effect which goes hand in hand with an extremely intense anabolic component. For this reason, dramatic gains in strength and muscle mass can be achieved in a very short time. An increase in body weight of 10 - 15 pounds or more in only 14 days is not un-usual. Water retention is considerable, so that the muscle diameter quickly increases and the user gets a massive appearance within record time. Since the muscle cell draws a lot of water, the entire muscle system of most athletes looks smooth, in part even puffy. Anadrol does not cause a qualitative muscle gain but rather a quan-titative one which in the off-season is quite welcome. Anadrol "lu-bricates" the joints since water is stored there as well. On the one hand this is a factor in the enormous increase of strength and, on the other hand, it allows athletes with joint problems a painless workout. 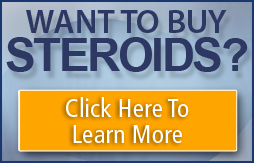 Powerlifters in the higher weight classes are sold on Anadrol. A strict diet, together with the simultaneous intake of Nolvadex and Proviron , can significantly reduce water retention so that a distinct increase in the solid muscles is possible. By taking Anadrol the athlete experiences an enormous "pump effect" during the workout in the exercised muscles. The blood volume in the body is significantly elevated causing a higher blood supply to the muscles during workout. Anadrol increases the number of red blood cells, allowing the muscle to absorb more oxygen. The muscle thus has a higher endurance and performance level. Consequently, the athlete can rely on great power and high strength even after several sets. The highly androgenic effect of Anadrol stimulates the regeneration of the body so that the often-feared "overtraining" is unlikely. Although Anadrol is not a steroid used in preparation for a compe-tition, it does help more than any other steroid during dieting to maintain the muscle mass and to allow an intense workout. Many bodybuilders therefore use it up to about one week before a compe-tition, solving the problem of water retention by taking antiestrogens and diuretics so that they will appear bulky and hard when in the limelight. Last edited by Dizzy; 03-19-2002 at 04:43 PM. here is a list of side effects of anadrol . Anadrol has a great number of possible side effects. Anadrol can cause gyno (swelling of breast tissue), increased water retention, and high blood pressure. Severe acne and increased hair loss can also occur. Increased aggressiveness and a reduction in the body's own testosterone production is not uncommon. Other possibilities include liver damage, headaches, nausea, vomiting, insomnia, and enlargement of the prostate gland. Anadrol is not recommended for women. Many symptoms can occur when a female uses Anadrol. These symptoms include acne, clitoral hypertrophy, deep voice, increased hair growth on legs, facial hair, inconsistent periods, increased libido, and hair loss. Anadrol is simply too powerful for females." Last edited by hartyman; 12-31-2011 at 08:20 AM.